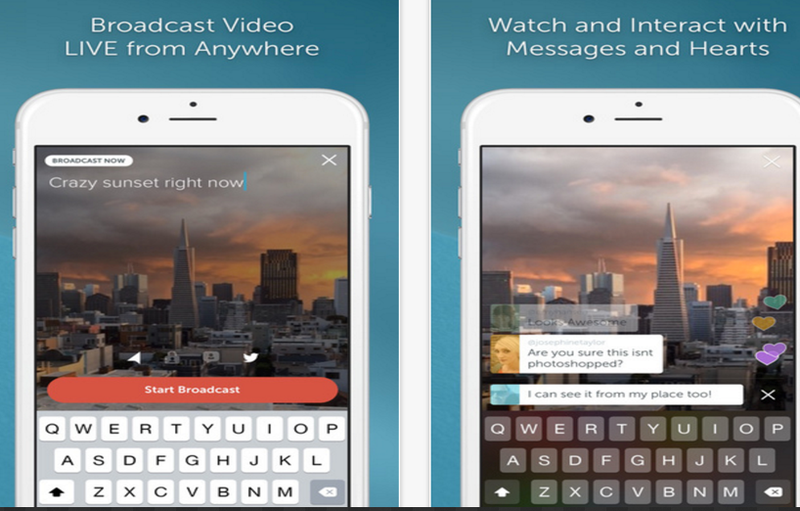 Periscope is Twitter’s live streaming app. Since its release last March, Periscope gained a sweeping popularity among teachers and educators. Apple named it the best App Store App of 2015. Given the educational potential of this tool, we decided to review it here and share with you some of the features that might help you in your instruction. 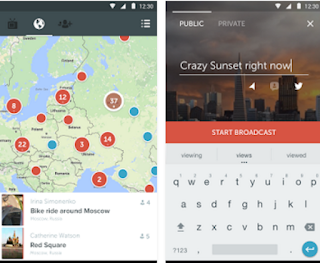 Periscope allows you to broadcast live from your phone to public/private audience. To do so you need to install Periscope app from iTunes App store or Google Play Store and sign up for an account using either your Twitter credentials or the number of the phone you are using Periscope on. Once you are signed you can then start live streaming to your followers ( both Twitter followers and Periscope followers if you have any). Each time you start a broadcasting event, periscope pushes a notification tweet with an embedded link so your followers can view and interact with your live broadcast. There are several ways you can use Periscope with your students. For instance, you can use it as a formative assessment tool, collect students feedback, poll or survey students around a given topic, organize virtual field trips, invite experts to talk to your students, share with parents the learning taking place in class and many more. Check out the links at the end of this post for some good resources with more ideas on how to use Periscope in your class. As is the case with any web tool you use with your students, privacy concerns are always predominantly present. With Periscope things are even more complex since it involves filming students. Being part of Twitter means that Periscope can only be used with individuals that are 13 and older; but no matter how old your students, you should definitely exercise more discretion and attentiveness when using it in class. One way to use it with students is through a private broadcast. You can use Periscope to broadcast either publicly or privately. In a private broadcast, only selected Periscope followers (not Twitter followers) can view and interact with your broadcasts. Your private broadcast video will also be available for 24 hours so others who did not make it to the live streaming can still view it. Alternatively, you can save the video to your phone and upload it to a storage platform of your preference e.g YouTube, Dropbox, Google Drive. When you are live streaming with a private group, you may want to turn off Tweet icon to stop Periscope from sending a notification tweet with an embedded link of your broadcast to your Twitter followers. This is another proactive measure to help you address some of the privacy issues behind using Periscope with students. When you deactivate your location settings your location will not be discoverable on Periscope’s map. To do so, head over to Broadcast Tab and set Compass icon to Off.